TRC is a wholesale only program. We want to be your partner, not your competitor. TRC separates ourselves from local providers with our deep Original Equipment (OE) connections and access to critical product, process and diagnostic information. TRC separates ourselves from other national providers with our investment in nationwide distribution, management and quick, decision making. 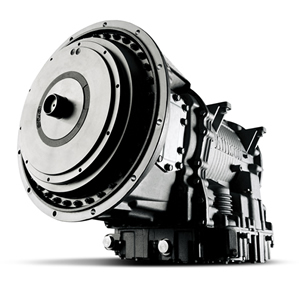 • TRC is recognized as one of the top two remanufacturers of commercial vehicle drive train components in North America allowing us to provide the best cost and quality combination for your company’s needs. 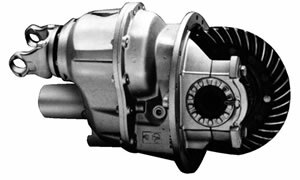 • TRC only supplies Allison transmissions remanufactured in our dedicated facilities with 100% Allison genuine components. 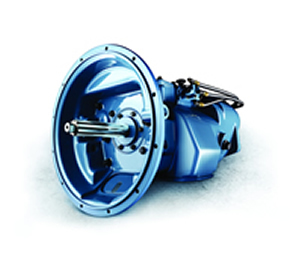 • TRC is one of a select few remanufacturers authorized by Eaton to remanufacture manual transmissions, utilizing their nationwide warranty network to support our authorized product. • TRC has been chosen by Meritor to be an Authorized rebuilder for drive axle carriers. • We are a Dana Authorized Spicer Off-Highway Service Center and are prominent warranty center for Muncie, Eaton Hydraulics, Fabco and many more. improvements are built into our remanufactured units to ensure the highest quality of product performance. • TRC has direct relationships with virtually every major supplier to the commercial truck market. • TRC is a specialist, not a generalist. This focus on the commercial vehicle drive train affords us the opportunity to provide the detailed expertise, product and services required as products evolve and become more complex. By not trying to be all things to all people, TRC is your best bet for the mundane as well as the complicated needs related to the drive train. • By centralizing the remanufacturing process into seven product centric facilities, we can control quality through a standardized, industrialized and repeatable remanufacturing process. This means that each component is fully disassembled and consistently remanufactured to an OE specification. • TRC has a best in class testing regiment with 13 electronic dynamometers across the enterprise. into every process. We conduct a minimum of four week-long Kaizen exercises annually and employ two full time lean experts. based to drive improvement in our process and your business. • TRC has multiple Regional Sales Managers working in the field to serve your specific needs. • We have 28 strategically located distribution centers across the nation to quickly meet your unique drive train requirements. • TRC utilizes 100 delivery trucks to respond immediately to your product needs and provide free pick up and delivery of orders. • TRC has a 95% fill rate on complete unit orders within 24 hours. Remanufacturing was "green" before green was cool. As a matter of fact, worldwide, the energy saved during remanufacturing is equivalent to the energy produced by 8 nuclear power plants. While remanufacturing has begun in numerous industries, the heart of the business remains in the remanufacturing of vehicle components. TRC has been at the forefront of the remanufacturing industry for 30+ years, salvaging over 160,000 tons of steel destined for landfills. TRC is a long time member of APRA and a charter member of MERA, the leading associations focused on the automotive remanufacturing industry.